FSU Credit Union credit card users can manage their accounts anytime, anywhere with online access. New users can click the button below to register and existing users can sign in to manage your credit card. 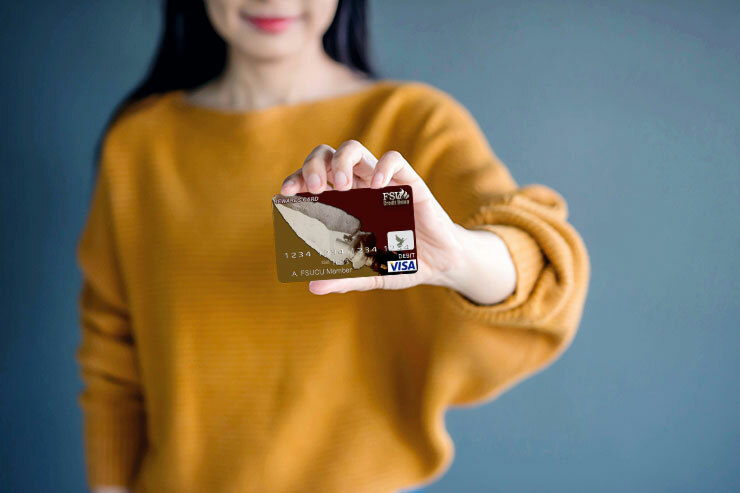 Keep your FSU Credit Union credit card secure by signing up for ALERT U and make sure you’re notified when your card is used for purchases over a selected amount, international purchases, online purchases and declined purchases. You can update your preferences online at any time. Verified by Visa and MasterCard protects your existing Visa card or MasterCard with a personal password, so only you can use your card online. Your card number will be recognized whenever you purchase at participating online stores. You’ll enter your password in the Verified by Visa or MasterCard SecureCode window, your identity will be verified, and the transaction will be completed. In stores that are not yet participating in Verified by Visa or MasterCard, your Visa card or MasterCard will continue to work as usual.